— Rail traffic affected as 5 bogies of a goods train derail near Bandhamunda D Cabin in Rourkela. — Dense fog hits normal life in several parts of Odisha; road traffic affected. — 9 persons from Odisha to be felicitated on Republic Day this year. — Maoist posters put up in Kurtamgarh of Kandhamal & Chandahandi ghati in Nabarangpur asking villagers to observe Martyrs’ week from today. — Normalcy returns to violence-hit Kendrapara; curfew lifted. — CM Naveen Patnaik to launch KALIA scheme in Puri today. — Congress national president Rahul Gandhi to arrive in Bhubaneswar at around 10: 45 am today. — ISRO Chief K Sivan on the successful launch of PSLVC44 mission, carrying Kalamsat, a satellite made by students: ISRO is open to all students of India. Bring to us your satellites and we will launch it for you. Let’s make India into a science-fairing nation. — Delhi Law Department Examining Charges Against Kanhaiya Kumar: Delhi CM Arvind Kejriwal. — President of South Africa Cyril Ramaphosa arrives in Delhi; will be the chief guest at the Republic Day parade tomorrow. — CBI is conducting raids at residential premises of former Haryana Chief Minister BS Hooda and at more than 30 places in Delhi-NCR region in connection with alleged land scam case. — Rain/Thundershowers accompanied with hail likely to occur at some places over Prayagraj, Hathras, Agra, Etah, Sant Ravidas Nagar districts and adjoining areas: MeT. — Heavy rain lashes in Delhi. — US requests to hold a session of the UN Security Council on Venezuela. 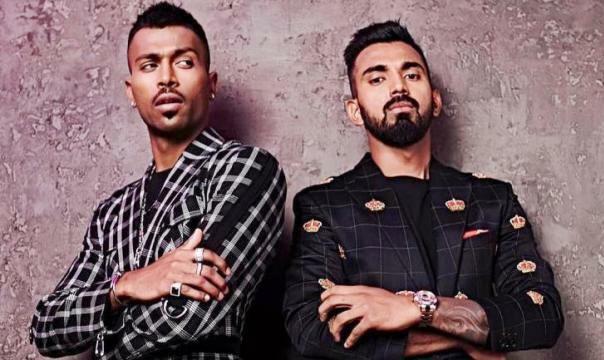 — Indian cricketer Hardik Pandya to join team in New Zealand, KL Rahul to be with India A squad.